About company | TREZOR TEST s.r.o. The company TREZOR TEST s r.o. 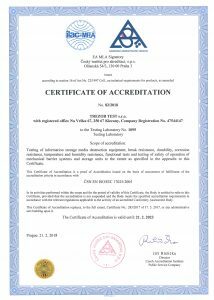 is a private corporation, founded on 15 February 1994 by the leading Czech experts, it provides complex testing and certification services for mechanical security systems and alarm emergency systems. 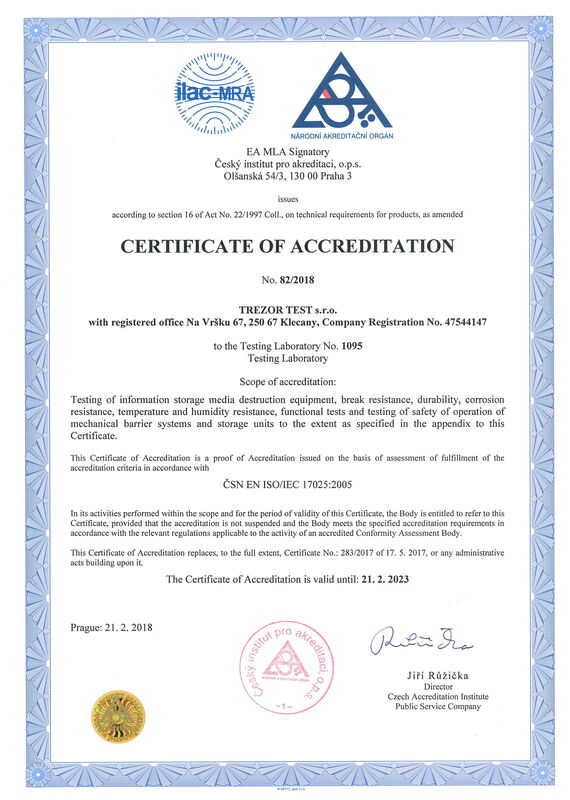 The accreditation proves that the testing laboratory and the certification bodies have authorised TREZOR TEST to objectively and independently perform testing and certification within the scope of accreditation see www.cai.cz. 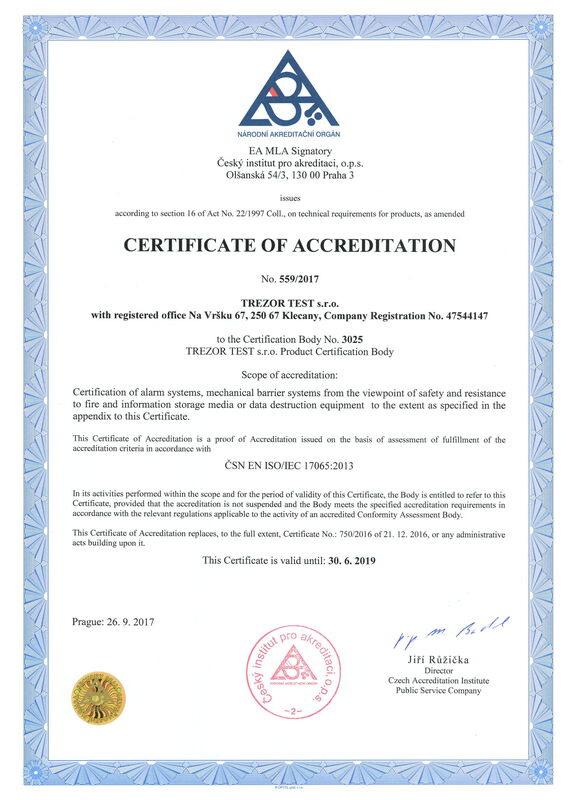 Due to the fact that the Czech Accreditation Institute is the co-signatory of the accreditation and the results are mutually recognised (see www.cai.cz) TREZOR TEST’S certificates are issued in multilingual versions and accepted internationally (in signatory countries to the arrangements mentioned above). 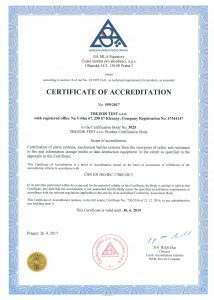 In addition to the above mentioned accreditation, the company TREZOR TEST s.r.o. has concluded an acceptance agreement of testing and certification results with the National Security Authority of the Czech Republic www.nbu.cz according to the Act no. 412/2005 Col., on protection of classified information.